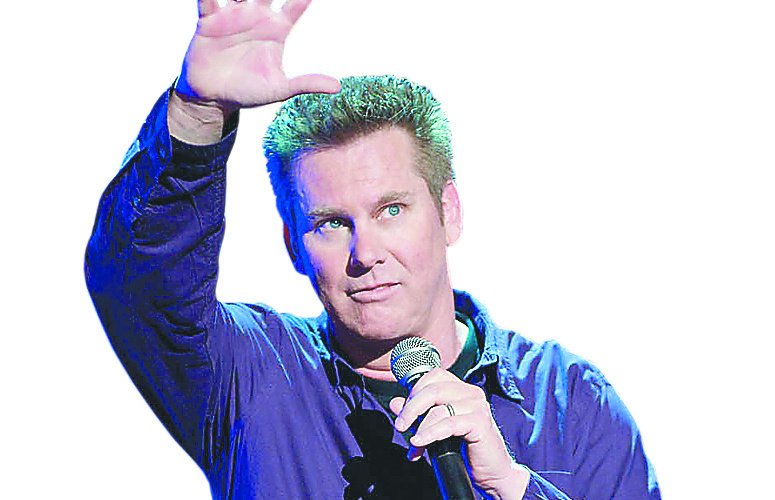 Brian Regan performs Saturday at INB. Cost: $42.50 and $47.50, through TicketsWest, www.tickets west.com or (800) 325-SEAT. In this Q&A-style interview, Regan talks about dropping out of college to be a professional comedian, his commitment to clean humor and his knack for finding the ha ha in the ho hum of everyday life. IJ: How did you develop your particular style of comedy? BR: Gradually … It was just over the years. I kind of tried different things and whatever struck my fancy. But it seemed to be the everyday things that worked for me, talking about an everyday person’s kind of world. I try not to have it be gender specific, or age specific, or parent specific. It could be for anyone. I like to cast a wide net. When I first started I had no clue what direction to take. All I knew is I loved being a comedian. I had props. I would walk on stage with an old dirty brown bag and I pulled things out … silly stuff … I had some of that. I had some dirty jokes. Those were two directions that didn’t work for me. There are a lot of much funnier prop comedians out there. And there are a lot of comedians out there who are better at being dirty than I am. I was always fairly clean, even when I started. I’ve always been 95 percent clean anyway. I had off-color jokes but on a night when I happened to not do any dirty stuff, the reaction from the shows was different than when I included those kinds of jokes and more people kept coming back. It’s as if families send out clean scouts and they come back with Aunt Edna, like they are reporting to people who can’t handle dirty comedy. IJ: How did you start your career in comedy? BR: I was in college when I hit on the idea. For me, it was literally thrilling just to even put that in my head that I wasn’t going to be an accountant when I woke up every day. Those days of going to accounting class were not fun. When I began my quest to be a comedian, I thought, “This is fun.” I had no clue how to hit it, but the target was thrilling. When I decided I wanted to be a comedian in college, this was before computers, before the wheel, before fire. I was at a small Midwestern college. A guy down that hall had a radio, and that was like, ‘Wow!’ So I don’t think I was horribly influenced, because I wasn’t able to listen to anybody else. When I first started it was a little bizarre. I was sort of funny off stage and able to make my friends laugh but I’m very capable of not being funny. When people don’t know what I do and ask what I do, I used to hate where that would lead. If you say you’re a comedian and you haven’t been funny for the first 10 minutes of the conversation they look at you like you’re from another planet. IJ: What was it that drew you to comedy? BR: There’s math involved and science involved and the fact that you’re trying to extract a physical response from people through the formulation of words and thoughts and ideas. It’s fun to tinker around with a joke and change a word here or there, or putting a beat in or beat out and playing with timing. The way some people feel about working on a car engine is similar to how I feel about jokes. It’s even the combination of gut feelings, and getting instant feedback, letting the audience let you know whether your gut was on track. … That’s what’s really cool, to get on stage and try it in a new or different way and the audience will tell you through their laughs, or lack of laughs. And when you get it, that feedback helps guide the next joke. IJ: You dropped out of college to pursue your career in comedy, to very successful results. But then you went back and finished your degree. Why bother? BR: It was always sort of an empty feeling in my life. Like a piece of the jigsaw puzzle was missing and I had put so much effort into it. I switched my major to communication and theater arts and I was 10 credit hours shy when I dropped out. I just felt like I needed to go back and do it. IJ: What do you love about showbiz, and what would you change about the business if you could? BR: The hours are pretty good. I have a lazy side to my personality. I like to work hard, too. But comedy lets me do both. I’ve got a one-hour show each night but I can also sleep in a lot. What would I change? I’m not at a level where I’m in the public eye a whole lot but one thing I would change in entertainment is how the media can be mean-spirited toward certain celebrities. I don’t like seeing someone get ripped to shreds, and for someone to take a gleeful approach to watching a young lady have a meltdown in life is not funny.